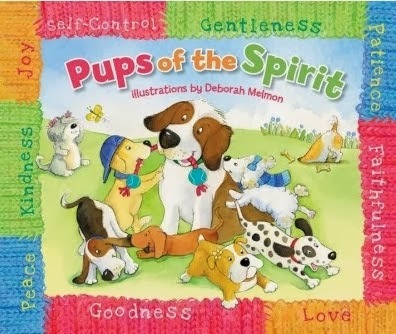 About "Pup's of the Spirit"
Nine lovable canines romp through the pages of this picture book displaying the important Fruit of the Spirit traits including: Love, Joy, Peace, Kindness, Patience, Goodness, Faithfulness, Gentleness, and Self-control.“God gave each puppy a gift of its own, and PUPS OF THE SPIRIT is how they are known!” Peanut is patient, and Kay is so kind. Each of these nine loveable puppies has a special trait to help them grow closer to God. From love and joy to patience and kindness, children will have fun learning about the fruits of the spirit with these playful and cuddly companions. I was given a free copy of this book in exchange for an honest review. I was not paid for this review and all opinions are 100% mine. I would have never thought to connect the fruits of the spirit with animals. 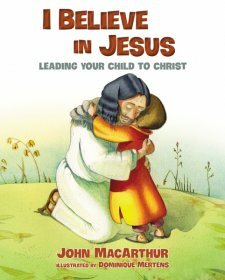 It truly gives children a better picture and understanding of the fruits of the spirit by relating it to a dog and the dogs behavior. The dogs are all very adorable which makes the pictures pop out and keep the attention of many age groups! Reading this story will allow parents to discuss each fruit of the spirit in a more personal way with using a humble heart in admitting areas in which we as parents need to grow too. 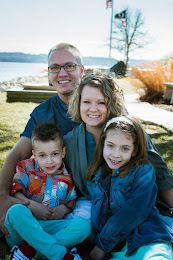 My kids and I set some goals we each are trying to work on one of the fruits of the spirit this week! :) I imagine we will have to go to this book often this week to keep it all fresh in our heads. The only thing I do wish would be edited in this book is capitalizing "he" in the book. When ever we are talking about God I have been taught and want to teach my children that if the "he" is God it should be "He!" I remember a few years back when I did not but a capital h on it and I had a close friend explain it to me and I am now hooked on making sure I capitalize it! Overall this book is great and if you are trying to work on those fruits of the spirit this is a great book to add to your list when teaching it!